Antalya dates back to antiquity and hosts more than 10 million tourists every year, standing out for its archeological and natural beauties. 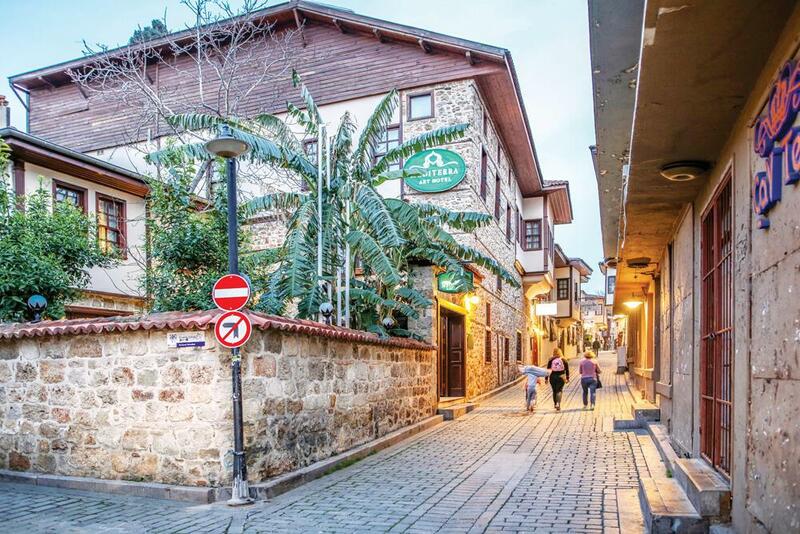 The most interesting settlement in Antalya is Kaleiçi, which takes its visitors on a historical journey thanks to its narrow streets and houses bearing the traces of Greek, Seljuk and Ottoman architecture. Tourists, entering the castle gate of Kaleiçi, which surrounds the yacht harbor like a crescent, are enchanted by the 650-year-old dervish lodge, Kesik minaret mosque, ramparts and Hadrian’s Gate. Kaleiçi, which is home to 127 ramparts, bastions, mosques, small mosque and wells, 356 houses of civil architecture, 93 gardens and 25 natural assets that need to be protected, has been the shining star of Antalya in recent years due to environmental regulation and restoration work. Declared as an archaeological site in 1973, Kaleiçi also draws visitors to its small shops selling antique items, carpets and rugs, as well as its yacht harbor and old restaurants where local and international flavors are served. Speaking to state-run Anadolu Agency, Mediterranean University Archeology Professor Nevzat Çevik said the settlement in Kaleiçi started in the 4th century. Çevik said a Hellenistic city was founded when the Pergamon King Attalos came to the region in the middle of the 2nd century B.C. The foundation of the city was laid during the Roman period and the Seljuk Turks took the city from its Byzantine rulers around 800 years ago. Kaleiçi’s neighborhood life is today almost completely finished and the area is now almost entirely devoted to tourism, Çevik said. “It is a well-protected area. In recent years investments in Kaleiçi have made the region cleaner and safer,” he added. 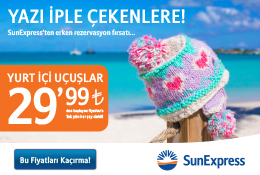 “Kaleiçi is a treasure trove of information for us. It brings together all of the past thousand years. Whenever you dig, you find the Romans or Greeks … When you enter Kaleiçi, you are going through a kind of tunnel back in time. Thousands of years’ history is contained within a short walk on a street. We must come to know the value of Kaleiçi well. It is entrusted to us and we have to protect it for future generations,” Çevik said. Antalya Director of Surveying and Monuments Cemil Karabayram described Kaleiçi as “a mosaic formed by shared civilizations” and said there are 3,000 distinct architectural examples in the district, many of which are registered cultural assets. “A team has made great work in the area. The structures were restored and 70 percent of public buildings in the district were improved,” Karabayram said. He noted that the Yivli Minaret, which is the symbol of the city and located on the logo of the Antalyaspor football club, is one of the most remarkable works. Karabayram said Kaleiçi is today protected using traditional methods. “There are some concrete structures built in the 1970s that look like rotten teeth in the area. But errors made at that time are no longer done. Serious precautions have been taken. Citizen’s consciousness has also increased a lot in Kaleiçi. People are restoring their own houses but the broader protection is conducted with permissions from regional councils. Even a small signboard is built according to traditional architecture. The current situation can be improved without making new structures overshadow the old ones. In recent years, very serious works have been carried out under the auspices of the ministry,” he added. The local authorities have produced a short film with the slogan “Kaleiçi Recreated” to describe the history of the area. “In Kaleiçi there are Roman columns and arches from the Byzantine period, minarets from the Seljuk era and similar examples. You can see all the architectural facts together. You can find the wooden houses with high ceilings in the region. This is very important,” said Karabayram.